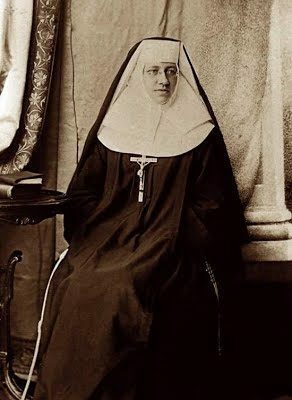 Saint Katharine Drexel - My Catholic Life! Today’s saint wove in and out of oncoming traffic. She travelled north while everyone else was zooming south. Friends and acquaintances in her refined, educated, upper-class milieu glided past her in search of marriage, children, wealth, travel, security, and leisure. Katharine deftly avoided them and moved forward at her own deliberate pace, looking for poverty, chastity, obedience, solitude, and God. She turned down marriage proposals, rejected a life of luxury, and resisted the expectations of her status. Katharine was deeply rooted in all things Catholic from her youth. She went from riches to rags, starting out immensely wealthy yet becoming progressively poorer with age. The classic American story is to begin with little, work hard, identify opportunity, live frugally, and ultimately attain success through sheer dint of effort. Saint Katharine Drexel’s father was immensely wealthy and powerful. He lived, even embodied, the American dream. His daughter lived the Catholic dream. From that point on, Sister Katharine Drexel never stopped giving. Saint Teresa of Ávila said that one man and God make an army. 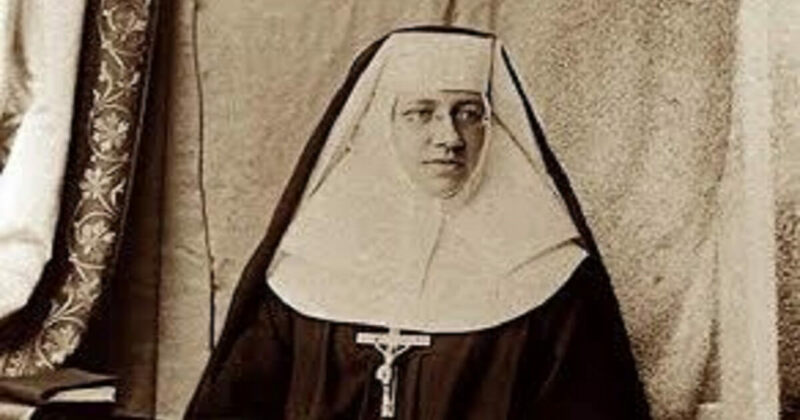 With Saint Katharine Drexel, one woman and a fortune made an army. She founded an order called the Sisters of the Blessed Sacrament with the counsel and encouragement of Saint Mother Cabrini. Her order began over a hundred missions and schools for American Indians and African Americans in the American South and West, including one of the first universities to admit racial minorities. Katharine was decades ahead of the civil rights movement which caught fire in the U.S. in the decade after her death. Sister Katharine spent a good part of her life on trains, travelling at least six months every year to visit her apostolates and the sisters who staffed them. Yet amid all this activity, she maintained an intense life of prayer. In this she emulated the balance typical of the greatest saints. Their concern for justice, not social justice, was rooted in a deep love of God present in the Blessed Sacrament. There was no duality in this. It wasn’t social work on one side and the sacraments and devotion on the other side. It was contemplation in action, love of God overflowing naturally into love of neighbor. After a life of generous self-gift, Saint Katharine suffered a major heart attack and spent the last twenty years of her life largely immobile, in prayer before the Blessed Sacrament. She had always retained the desire to become a contemplative sister, and it was granted, in a sense, in her last two decades. She died at a venerable age in 1955 and was canonized by Pope Saint John Paul II in 2000. Saint John Neumann, the Bishop of Philadelphia who died just two years after Katharine was born in his diocese, was a poor immigrant from Central Europe. Katharine embodied a succeeding generation of homegrown Catholicism. She was an icon of a new generation of Catholic Americans who would power the incredibly organized and vibrant life of the early and mid-twentieth Church in the United States of America: educated in Catholic schools, socially conscious, pope friendly, sacramentally focused, wealthy, and extremely generous. Saint Katharine lived and died a model nun. Saint Katharine Drexel, intercede before God to assist all who seek your aid to overcome the temptation to love inordinately the things of this world. Your holy detachment from wealth and comfort freed you for a life dedicated to prayer and service. May we have that same detachment and that same commitment to God.